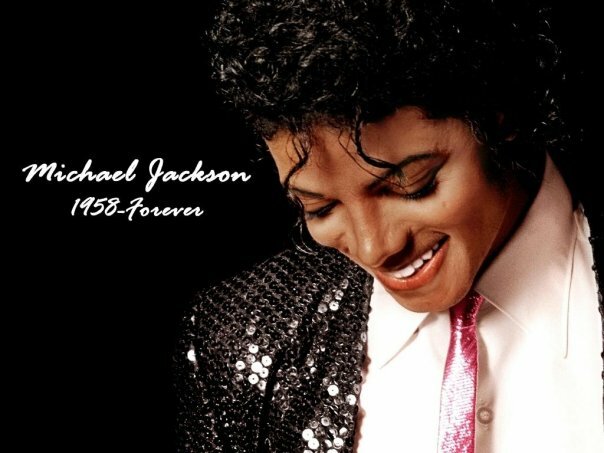 Today, 25th June 2011, marks the sad second anniversary, to the very day, of the shocking and tragic news of the death of musical legend Michael Jackson. To mark the anniversary I share with you a tribute I wrote within days of his death. It was first published in The Voice newspaper, 6th July 2009, as their Letter of the Week. LIKE MOST people, I’m shocked and stunned to hear Michael Jackson passed away. The King of Pop is no longer with us. I, along with his millions of fans, can only hope he’s gone on to a better place to find true happiness in his new ‘neverland’ of life after death, that he didn’t appear to have when alive. Having grown up to the music, life and times of MJ from the time I was learning my alphabet – around the same time that the Jackson’s Five’s ABC song in the ’70s was out – through to Off the Wall in ’79, to the even more sensational Thriller album of ’82, I can barely believe I’m writing about Michael Jackson in the past tense. My thoughts go out to his immediate family – three children left behind, his siblings, parents and millions of fans across the globe. This is a truly tragic moment for the world that has lost one of it’s all time musical greats. The crazy stories, scandals and unique lifestyle all added to the rich tapestry and legend of MJ. Now that his life has ended so suddenly at just 50, it just doesn’t seem right. Perhaps there was inevitability about this, given the rumours, usually denied, regarding his ill-health. Hopefully they will be cleared up in the coming weeks and we can get a true picture of how he was and what caused this. I saw him twice on the 1988-89 tour at Wembley and Milton Keynes and again on the Dangerous tour of 1992-93. That none of us will get another opportunity to see this musical genius live is a tremendous disappointment. Greater still is the personal loss of this essentially private man to his family and his wider fan base. I think there are lessons to be learned from MJ’s untimely and unwelcome death, his family, friends and we as a community need to examine how we look after and nurture our major stars, our upcoming talent destined for great achievements. That extends to management of health issues, media relations, financial matters etc. Whilst for many of us, this a time of immense sadness and mourning, it’s also an opportunity to listen again and reflect on the extensive musical legacy MJ’s left us. Jackson’s music and legend will undoubtedly live on. The King of Pop is dead. Long live the King. This entry was posted in Michael Jackson and tagged king of pop, Michael Jackson. Bookmark the permalink. Apart from a brief period of disappointment with some of Michael Jackson’s later material, I remained a genuine fan from the very first record,”I want you back” to the time of his death. I knew he was special and was not surprised when he eventually went solo. I joined his fanclub as a schoolgirl, saw him on his first tour to Britain at Wembley and on the “Bad” tour in Aintree race course, Liverpool having initially decided that I didn’t want to see him. I had all his albums and his pictures plastered over my bedroom walls.He was a significant feature of my teenage years into adulthood. Friends, family etc. all knew how much I admired Michael. Consequently, I was devastated and inconsolable when awakened by a telephone call and informed of his early death. On seeing him so distressed at the acquittal of alleged child molestation, I vowed that if he died, I would go to his funeral. True to my word, I travelled to LA (my first visit) and was interviewed by Sky News on arrival at Heathrow Airport. The interview focused on how I felt about Michael’s death, reasons for going to the funeral and was broadcast on the radio and televison news the day before the funeral. I happened to stay in a hotel which was a 10 minute walk away from the Staples Centre where the ceremony took place. It was a great and memorable day. The atmosphere was sombre but respectful. Michael Jackson had an incredible talent. We are very fortunate to have the legacy of that talent – his music. That’s a lovely, personal and heartfelt response VB. Thank you for sharing. What do you think of the wall to wall live TV coverage of the trial of Dr Murray? I can sum it up in three words – Too Much Information. Very sad. We don’t need to know all this detail. Agreed. Will we ever know the truth, however unpleasant it may be? Jackson – Live in Concert. Thursday 27th October 2011 at Beck Theatre.